As promised on my posting on "Every Little Kiss", this is the teaser chapter to 1 of the 2 stories I'm working on. The banner for the story is already posted and has been posted. I've been working on the idea of this story since 2008...so here are the fruits of my labor. THE sound of the alarm clock, only reminds me that I’m still not rich enough to ignore it. Instead I roll to my side, slam my hand down on the irritant beeping, which also reminds me I need to get one that actually plays music. I peek out an eye out from behind the covers and groan at the sun filling the room and slide back deeper under the thick blanket. It might be the middle of summer, but that doesn’t mean I still don’t get cold in the middle of the night. Knowing that if I don’t get up now, the diner doors won’t be opened until well after the morning crowd eats, which means even less money towards my aforementioned fortune. I throw the covers off of me. My eyes still haven’t adjusted to light, so I squint around for my glasses and pluck them from my nightstand, only after I push over the empty glass sitting on the edge. It hits the rug with a loud thunk and I once again pat myself on the back for having the hindsight of covering my hardwood floors with a nice thick, plush cream rug. Realizing that I’m just wasting time staring at my toes and contemplating getting a pedicure before lunch, I swing my legs off the side and stand. Raising my arms, I stretch my back and then realize I’ve wasted too much time thinking about getting up, that the urgent need for the bathroom outweighs my lack of motivation. I make a mad dash for the bathroom, slamming my foot into the side of the door; I hop into the room and quickly take care of business. Following my morning routine, I make my way into my bedroom pluck my olive green skirt and white cotton top from their hangers, slip on my beige sandals and make my way into the kitchen. A normal day, I think as I pour the hot water into my teacup. Maybe it’s just me, but I think of how normal my days and nights are. Normal equates to boring in my book. I never have plans. It’s not for my lack of friends, but my lack of single friends. I go to bed early, wake up early, get through my morning routine and leave the house to open the diner, and then I’m off to school for my four classes. Then I return to the diner, see if anything is needed, head home for dinner and then back to the diner to close shop. I just wish one day I could wake up and things would be different…less predictable. Then again I am predictable. I wasn’t always; there was one instance in my life where I just went with the flow. I didn’t think too much, I just acted on my feelings and it was one of the best times in my life. That was too long ago to even think about. It was the past, and God knows I would never wish to forget it. But maybe, in retrospect it ruined me for life. It gave me false hopes, but still, I wouldn’t change it. Except maybe it might be nice to have someone to come home to. Someone to talk and laugh with…and someone to hold me in the middle of the night and to kiss whenever I wanted. Someone, that loved me. I know it will happen; my friends are proof that it happens. I just wish I didn’t have to keep waiting. I’m pretty open; I don’t have to find Mr. Forever, but Mr. Right Now would be nice. I take one last look in the mirror before I swing open the front door. “It will happen,” I say to myself with a smile as I push my sunglasses down and prepare to face the world…and the blinding New Mexican sun. Today is not going as planned; in fact, it’s the least perfect day I’ve had in at least six months. One waitress quit because her boyfriend asked her to marry him and they’re going to Vegas today. Maria, my best friend is having a crisis over Michael, my other friend, cheating on her. Which I’m sure is not true, but once Maria’s got it in her head there is no getting it out. And on top of that all, I had a fifth grader throw up on my shoes. Since it’s an early day for me, I decided to make my way over to the nail salon for a quick pedicure. It calms me like nothing else. I’m enjoying the silence, my eyes closed, my breath even, when I hear the bell ring over the salon door and a moment later something is thrown in my lap and I hear my best friend call my name as she drops into the chair next to mine. “Maybe he’s busy?” I offer weakly, but I know better. Michael is purposely ignoring Maria. I can’t say that I blame him either. I open my mouth to say something, and then think better of it. “What?” she asks, she knows me too well. I mutter out a ‘nothing’, and she reaches out to turn my face towards her. “What do you know Liz Parker?” I am a bad liar, well sometimes I’m a great liar, but this is not one of those times. “He left for work, Maria. He mentioned it to me two days ago, after you and he…talked…” I trail off because I really didn’t want her to know that Michael spoke to me about their argument, her accusations and the way he felt about it all. “Maria, I love you, I really do. But you accused him of cheating on you, and considering Michael’s family background you have to know that it hurt him. He might be a tough guy, but you know him Maria. You know how Michael feels about you.” Okay maybe I shouldn’t have said so much, but I couldn’t help it. Maria doesn’t realize how damn lucky she is to have a Michael in her life. I could only wish for a guy half of great as him. “Not this time, Liz. He was kissing another girl in his apartment. I can’t just ignore his tongue shoved down her throat! Even you can see where I’m coming from,” she continues but I have already tuned her out. I feel a bit insulted, what does she mean by ‘even you’? As if I can’t sympathize with her. I know that her last three boyfriends cheated on her, but she has been dating Michael for over a year. Instead of touching on that subject, I just tell her what I think, really and truly. “I know it’s not innocent, but that’s not like Michael. I think there is a perfect explanation.” She asks me while searing me with her green eyes, if he told me what Susan was doing at his apartment. I tell her the truth, I didn’t ask and he didn’t tell. Maria throws her head back and lets out a long sigh. If I could slip out of here without her seeing me, I would in a heartbeat. Looking down at my watch, I see it’s nearly dinnertime. Maybe I’ll just go back to the diner early, eat there and close things up. It’s not like I have anything better planned. “I think you should call him tonight, after you’ve had time to think about this. And after you calm down and are ready to hear him out.” I offer to break the silence. As the girl finishes painting my nails, I regard Maria, she’s so beautiful. From her, long blonde, thick and wavy hair, peaches and cream complexion, soft-perfectly-bowed-lips, and the greenest eyes, I hate to say that I envy her, but I do. “Just leave him a message apologizing, he’ll call you, I know he will.” I offer with a reassuring nod of my head, and a smile. Maria seems to accept my logic and tells me she loves me, but she has to go. I’m glad I could help a little, even though, Maria doesn’t know that advice came from my Cosmo magazine. Because honestly, what the hell would a thirty-one year old – only slept with one guy her whole life – know about relationships? “No problem, Liz. I’ve got it covered,” says my one and only reliable waitress. Tess is a single mother and she works seven days a week for me, but since she can’t afford a babysitter, I gave her the apartment above the diner for half the price I was looking and she gets free meals for her and her daughter. I also allow her to keep the baby in the backroom. Everyone else is so used to the baby, that they all feel the need to go and visit her on their breaks. “Thanks. When I get back, you can feel free to take the rest of the night off.” I wink at her and step out the door before she has a chance to protest. The sun has just about set, thankfully. The sun was a scorcher today. I rummage in my purse for some chapstick while walking, which is never a good idea. A second later I slam into someone on the sidewalk. “Oh god! I’m sorry!” I say, trying to steady myself and keep the contents of my purse from decorating the sidewalk. A laugh is what I hear, and then a, “It’s okay. Let me…” says the stranger with the…very familiar voice. It can’t be. I swallow thickly, my pulse races from my chest to my throat, before my eyes rise from his waist, over his broad chest, then over those familiar lips and then those honey brown colored eyes. Michelle in LA wrote: I've been gone a long time, and I'm ba-aa-ack. Is the "Still" story posted anywhere? Helloooo my readers out in the cyberworld...for those of you still out there. I wanted to give you an update on the status of my outstanding/upcoming stories. 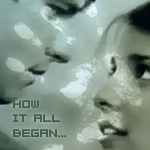 First I want to address: Every Little Kiss - this story will be finished by April, there are only a few parts left and I've hooked up with a Beta to keep me on track to getting this completed. Secondly, I will be focusing on writing and completing my CC story that is where my main focus and writing will be for this board. Third- Unbreakable the story I co-wrote with Itzstacie - it is unfinished as of right now. Our full intention is to finish this, however Stacie and I have been on different schedules for months and months - so MY goal is to finish this by May I will be in touch with Stacie to figure out how we can accomplish this. Finally, I'm not sure how many more fanfics I have left in me - not because my love has died for the show, but I am really focusing my efforts in writing original pieces of work that I would hope one day in the not too far future can be published. Whether that happens or not, I will continue to write, and who knows but I may have a few more Roswell-centric fics left in me. So for now...I can make these statements to you knowing full well that my intentions are to complete what is left open and to write the CC story. Anything more than that...I'll just have to see how things go. Hi thanks for the note . Unbreakable will not leave me alone.......I want to know what went on in that office the day Liz ran off. Matter of fact, that story haunts me. I hope it is haunting you and Stacie too. We wish you great success with your original stories. You have such a wonderful style, I'm sure before we know it you will be published. Just remember your friends back here, and let us know of your progress. I love your stories. I can't wait to read what you have in store for us. It will be sad to see you go but I wish you all the best. You're a truly talented lady.